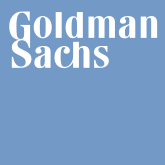 Goldman Sachs as a private partnership? I'm a Republican and a former Wall Streeter and don't favor government intervention in markets. But I can see where breaking up the banks would be a positive for the free markets. Huffington Post (blog)...GS666 Comment: Hmmm?